Microsoft is working with Google Assistant and Amazon's Alexa to support voice commands for "Xbox One". 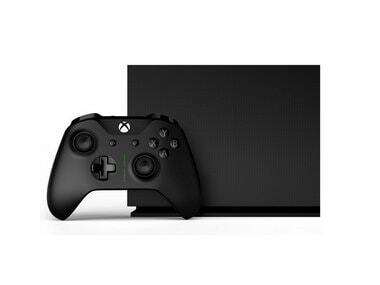 Home Amazon Microsoft is working with Google Assistant and Amazon’s Alexa to support voice commands for “Xbox One”. Microsoft is working with Google Assistant and Amazon’s Alexa to support voice commands for “Xbox One”. The new gaming console is expected to come with a new "Digital Assistants" menu for users to choose from Alexa, Google Assistant and Cortana to control the device using voice commands with. Microsoft is reportedly working with Google Assistant and Amazon’s Alexa to support voice commands for the upcoming “Xbox One”. The new gaming console is expected to come with a new “Digital Assistants” menu for users to choose from Alexa, Google Assistant and Cortana to control the device using voice commands with. “The full range of features for those assistants remain unknown, but it could bring many voice-assisted features,” Windows Central reported on 3 June. “Microsoft along with Amazon and Google might give some of the voice-assisted dedicated microphone features too,” the report added. Cortana, reportedly will become an “app” for Amazon Echo and probably other speakers. Former Xbox console marketing lead Albert Penello recently joined Amazon specifically to grow the Echo’s presence in gaming.